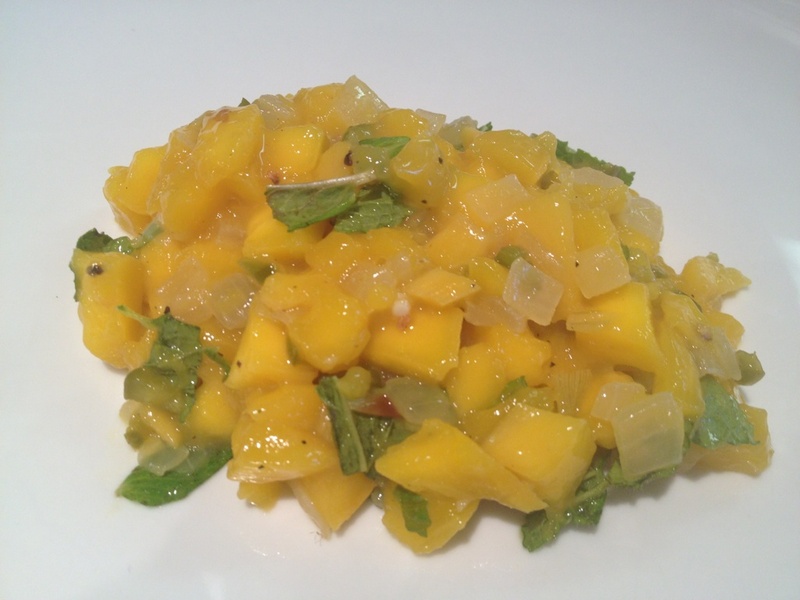 This is a new take on mango salsa. I have made mango pico de gallo in the past which is very tasty but this combination is more suitable for pairing with fish, especially tuna. 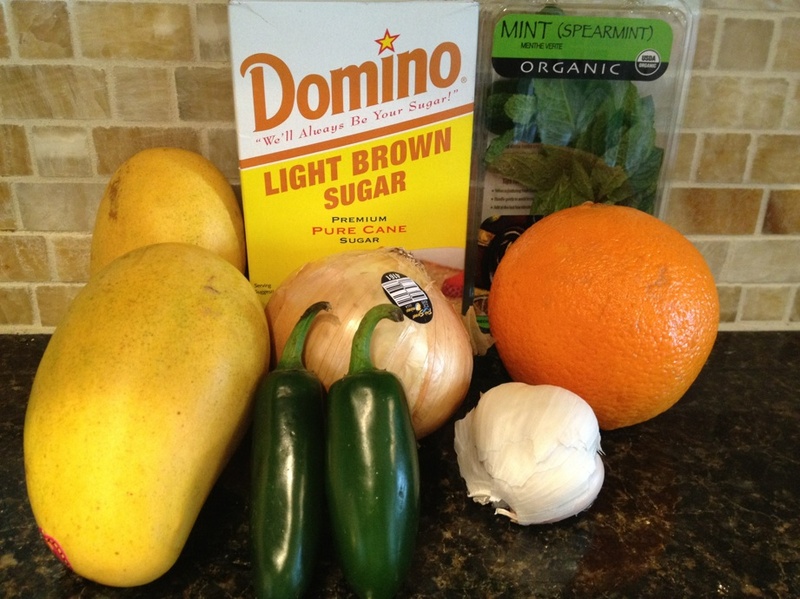 I loved the mint in this salsa and I think that is the ingredient that put this salsa over the top for me. 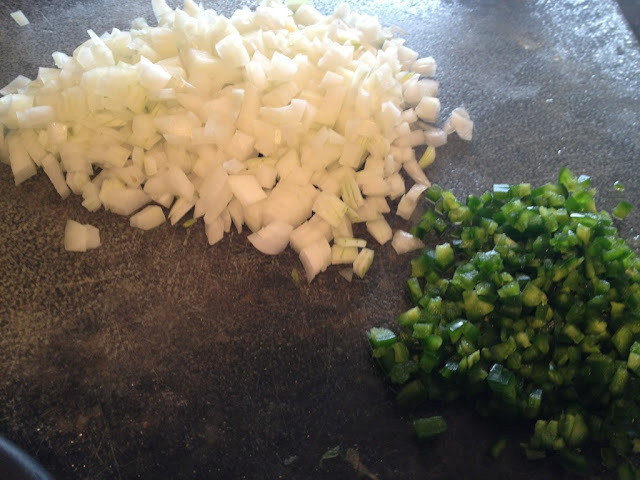 Dice your onion and jalapeno peppers. 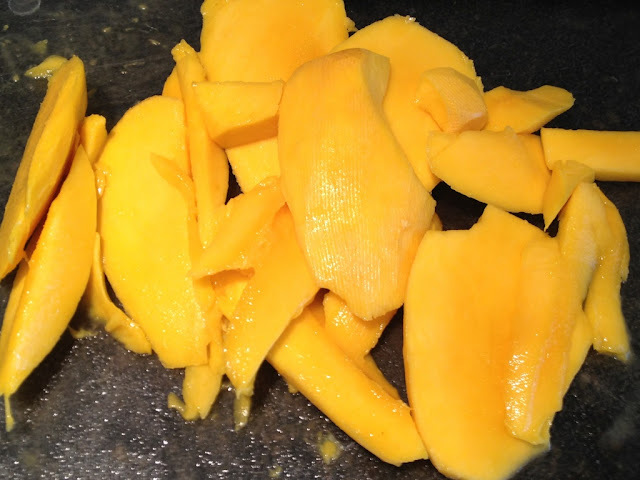 Now it's time to cut your mango. I still do not have a good way of deseeding the mango. 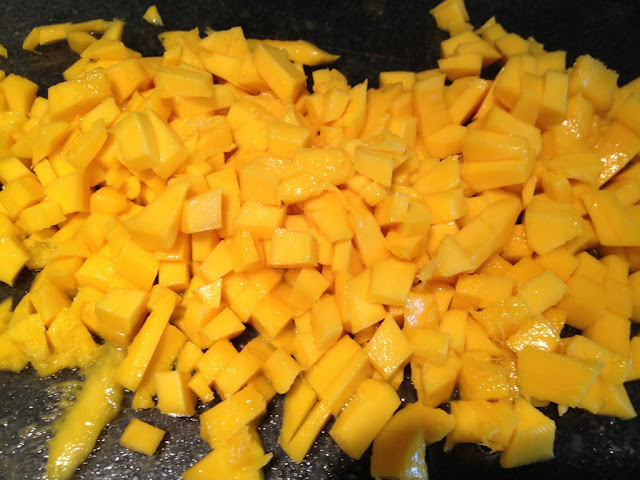 I just cut big chunks until I reach the core, then cut around it. I cut the big chunks into smaller pieces as seen below. 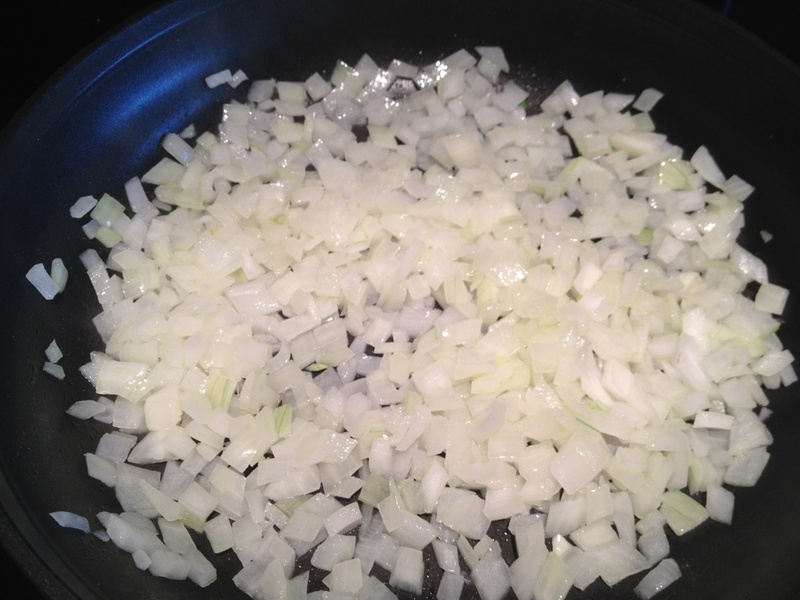 Saute the olive oil and onions in a large pan over medium-low heat or until the onions are translucent, not browned. 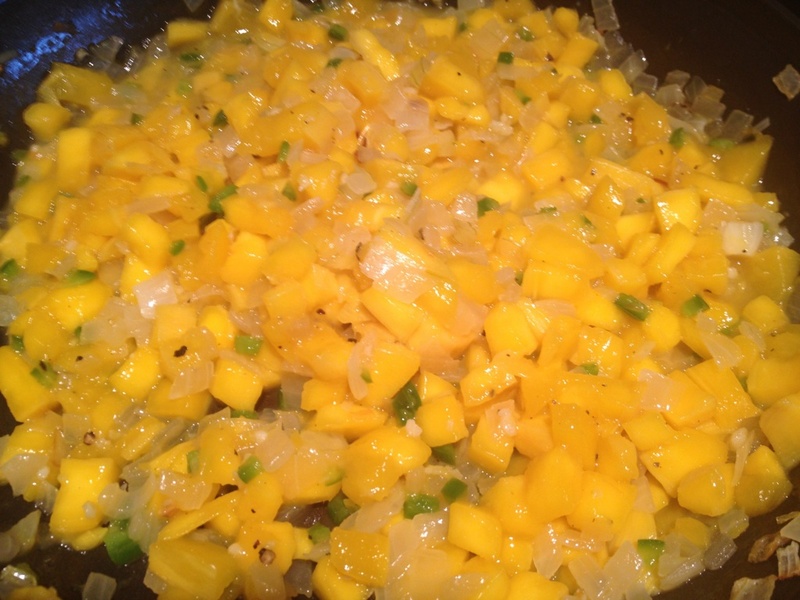 Add the orange juice, brown sugar, salt, pepper, and jalapeno; cook for 10 more minutes, until the orange juice is reduced, stirring occasionally. 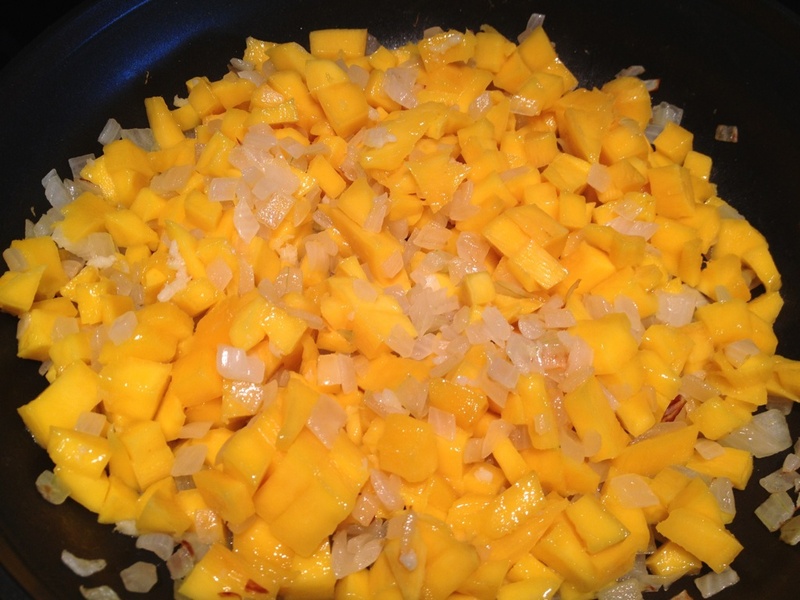 Remove from heat and add the mint. Serve warm, at room temperature or chilled.